DESCRIPTION -- As used on board mustard spoon from the NZSSCo which is in a very good condition and shows on it the company emblem, and is a very rare find from this shipping line (click on the picture to see a closer view of the emblem). HISTORY -- The New Zealand Shipping Company (NZSC) was a shipping company whose ships ran passenger and cargo services between Great Britain and New Zealand between 1873 and 1973. DESCRIPTION -- From the N.Z.S.S.Co. a fantastic find of a glass cabin ashtray from the 1950's and the size is 6" (15cm) and in an excellent condition showing on the front the company crest. HISTORY -- The New Zealand Shipping Company (NZSC) was a shipping company whose ships ran passenger and cargo services between Great Britain and New Zealand between 1873 and 1973. A group of Christchurch businessmen, including Hugh Murray-Aynsley and John Coster, founded the company in 1873. The company gradually established a fleet of vessels, using MÃƒâ€žÃ‚Âori names for each. From 1875 the livery consisted of black hulls, white superstructure and yellow funnels. DESCRIPTION -- Standing 3" (8cm) high this is a souvenir brass egg timer from the New Zealand Steamship Company and is dated circa 1960's. It shows on the top the company houseflag and the name of a company vessel and is still in good working order (click on the picture to see a close up of the houseflag). HISTORY -- The New Zealand Shipping Company(NZSC) was a shipping company whose ships ran passenger and cargo services between Great Britain and New Zealand between 1873 and 1973. A group of Christchurch businessmen, including Hugh Murray-Aynsley and John Coster, founded the company in 1873. The company gradually established a fleet of vessels, using MÃƒâ€žÃ‚Âori names for each. From 1875 the livery consisted of black hulls, white superstructure and yellow funnels. 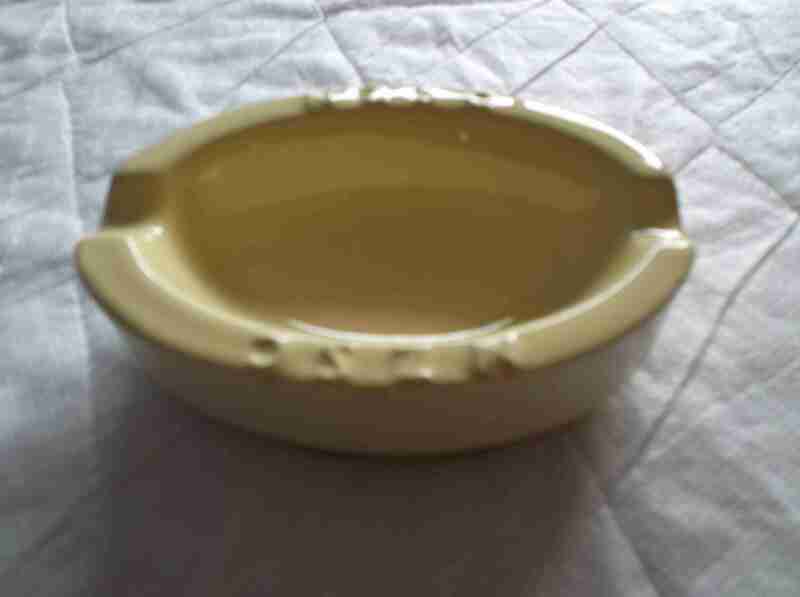 DESCRIPTION -- Extremely rare to find item which is from the New Zealand Steamship Company and is a yellow colour cabin ashtray which dates from the 1930's. The size is 4" (10.5cm) x 3" (7.5cm) and it shows on it the company name embossed on the top. At some point in time this item would have been part of a 'Stack' ashtray and had a funnel shape attached to it. HISTORY -- The New Zealand Shipping Company Limited was incorporated in 1873 in Christchurch, New Zealand, by a group of local farmers and merchants, who were dissatisfied with the country's existing shipping facilities and their inability to cope with the country's rapidly expanding trade. The company was initially administered from New Zealand, with input from a 'Board of Advice' in the City of London. The new company began by purchasing four second-hand iron sailing ships. 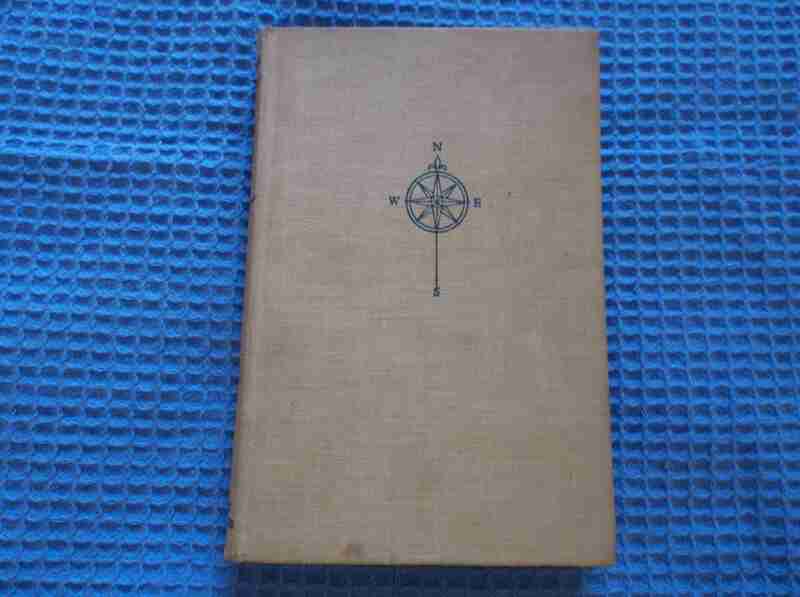 DESCRIPTION -- From the New Zealand Steamship Company this is an as used on-board and marked library book entitled 'The Cruise of the Kate' by Empson Edward Middleton printed in 1953 and in a great condition. HISTORY -- The New Zealand Shipping Company (NZSC) was a shipping company whose ships ran passenger and cargo services between Great Britain and New Zealand between 1873 and 1973. A group of Christchurch businessmen founded the company in 1873. The company gradually established a fleet of vessels, using Maori names for each. From 1875 the livery consisted of black hulls, white superstructure and yellow funnels. DESCRIPTION -- Set of early playing cards from the New Zealand Shipping Company and are an almost complete set and all in a very good condition. Of the playing cards the Ace cards have the name of the shipping line across them. They are an as used on board set and are fairly old and difficult to date.